For your research paper, you will write a rhetorical analysis essay analyzing the purpose of the speech that you chose for your annotated bibliography assignment. You will use evidence from your sources to support your analysis. 1. Analyze your chosen speech. Complete THIS WORKSHEET to analyze your speech. 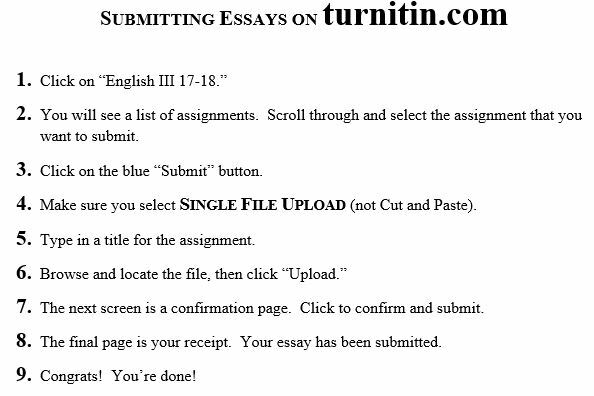 Submit your completed worksheet to turnitin.com. 2. Complete the CAPP Statement worksheet to create your thesis for the research paper. I will give you a print out of this. Click HERE for a digital copy of the file. Here is the PowerPoint review for CAPP Statements. 3. Complete the “Shaping the Body Paragraphs” Worksheet to plan/outline your body paragraphs. There are TWO options for this. Pick only ONE. 8-Sentence Paragraphs: This is the formatting that we have practiced this year with analysis essays. Quotation Sandwiches: This is a slightly different style that is designed for research-based rhetorical analysis. 4. Complete your FIRST DRAFT of the research paper. Your first draft should be submitted to turnitin.com. Click HERE for a Google Docs template. Due at the beginning of class on Friday, January 26. 5. Complete a Peer Review. 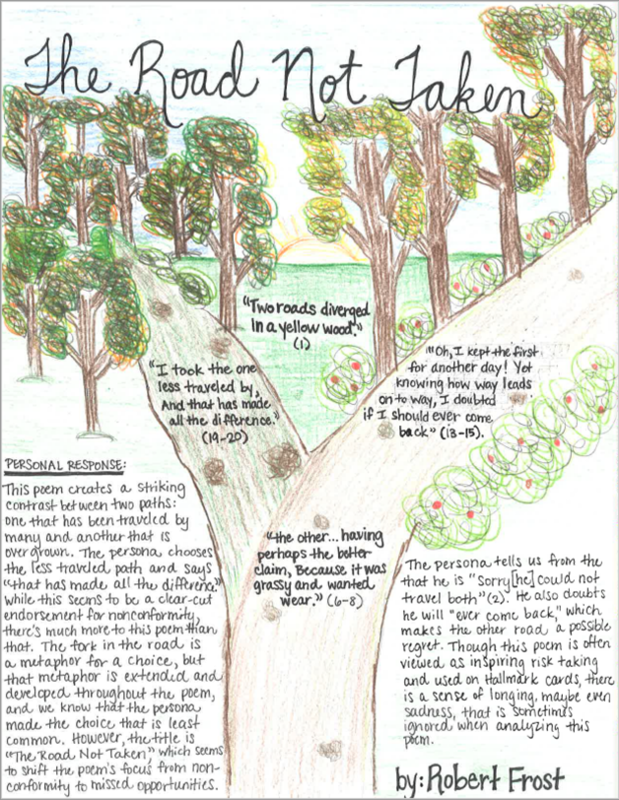 Share your first draft with a classmate AND me (boualline@csisd.org). Follow the GUIDELINES for the peer review process. Add comments in Google Docs to help your peer revise/edit the research paper. For your research project this year, you will pick a pivotal speech from American history to research and analyze. The first step of this project is an Annotated Bibliography. This is the first step of your research process, which involves locating, citing, reading, and annotating sources. The Annotated Bibliography is simply a step between finding sources and writing the actual research paper. So why are we doing this? Annotated Bibliographies are a common assignment in college. Your professors will want to see that you can locate and evaluate sources before moving on to the next step of writing your paper. 1. Choose the speech you want to analyze. You may choose one of the suggested speeches listed below or you may find a speech you would like to analyze. Your teacher MUST approve any speech you choose that is not on this list, and the speech must be comparable to those listed below. A great resource to check out is the list of Top 100 Speeches on AmericanRhetoric.com. 2. Research the rhetorical situation that “inspired” the speech. You are expected to find four scholarly, credible sources for your annotated bibliography. The first source will be the speech itself. Try to find a source that includes both the written transcript as well as a video of the speech (if available). Speeches are delivered for a live audience, so actually listening to the speech is an important part of your research. Your other sources will explore the speaker and the rhetorical situation of the speech. 4. Be sure that the speech you choose explores a topic that you would be interested in writing a complete research paper about! We will be working on this research project for more than a month, so pick something of interest to you. If you missed class on Monday, October 30, you missed the background information over The Crucible. Below is a link to a PPT that contains key information about the play. If you want to watch the documentary we watched in class, that link can also be found below. If you missed class on Tuesday, October 31, you missed viewing the 2014 CSHS Theatre production of Act 1 of The Crucible. Viewing this interpretation of the first Act will help you in understanding the play as a whole since plays are intended to be viewed rather than simply read. Here is a document to help you write your Intros and Conclusions. Once you are ready to begin typing your essay, you need to format your document in MLA format. Be sure to include a Works Cited Page! Steinbeck, John. Of Mice and Men. Penguin Books, 1993. We are writing one rhetorical analysis paragraph in class as part of your rhetorical analysis process grade. If you would like extra credit, you may write a complete rhetorical analysis essay. Use THESE INSTRUCTIONS to help you structure your essay. 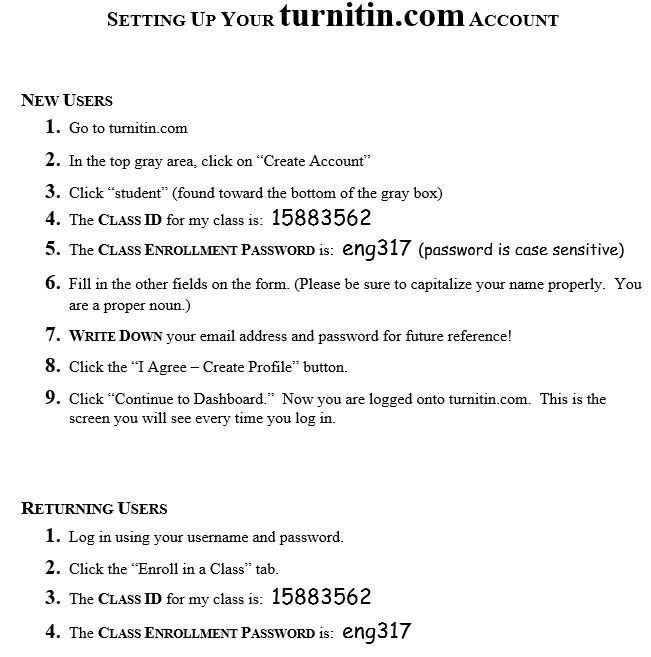 Extra credit essays must be typed and submitted to turnitin.com by Friday, September 15. There are two parts to your Independent Reading Project. Keep in mind that this project is a DOUBLE ACADEMIC ACHIEVEMENT GRADE that will be a significant part of your grade for this six weeks. This can be an opportunity to significantly raise your grade. The final draft of your book analysis may be handwritten or typed. *Please keep in mind that the handwritten example uses the old style of MLA format. Be sure to use the updated MLA 8 citation style explained in your instructions. There is an example of an MLA 8 citation in the typed example. As we begin our research unit, the resources below will help guide you through the process. Though we will have specific days dedicated to steps in the process, research is an individual task and requires that you to work at the individual pace necessary to meet deadlines. Remember that you need FIVE sources. Be sure to print out/photocopy all of your sources! Wikis are not credible or scholarly sources because anyone can add/edit content. Blogs and discussion boards are not credible or scholarly because the information provided is not verified as factual or properly documented. 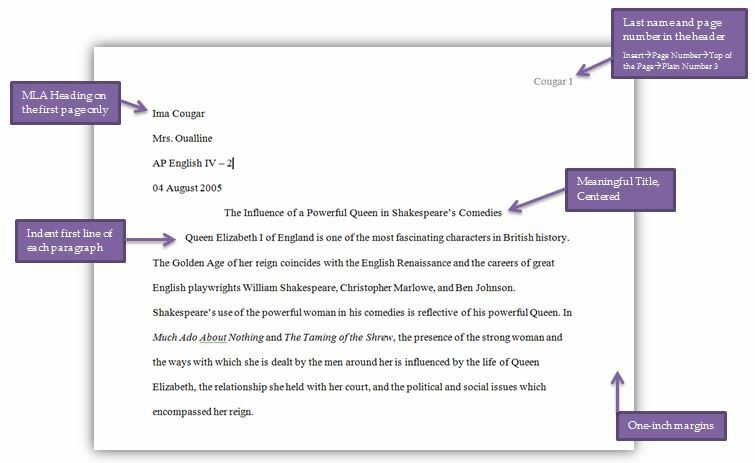 You will annotate and cite each source using the Annotation Supplement provided by me–each source should have a different color. Here is an example of what your highlighted source and completed annotation supplement should look like. The Owl at Purdue is an online writing lab that is perhaps the best online resource for help formatting your documents and citations. CSISD Writing Handbook: This handbook is available to all CSISD students as a general guideline for the expectations of writing at the high school level. Your paper should be about 1000 words in length (900-1200 is the acceptable range). You should also make sure your paper is formatted correctly (see video below). 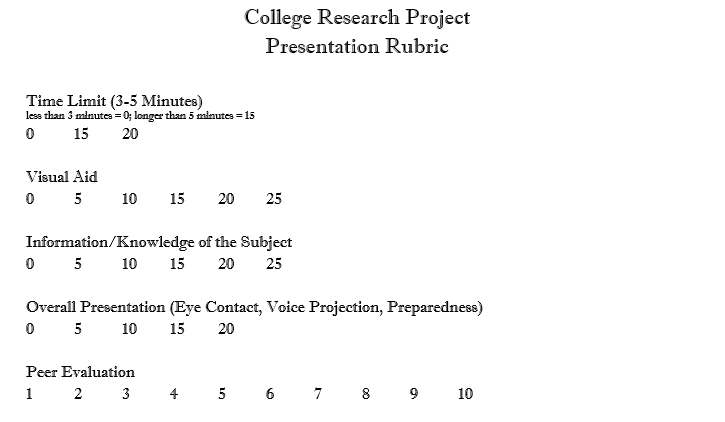 If you missed the in-class evaluation, here is the PowerPoint and the Rubric that we looked at in class. I also shared a list of words for analysis to help you elevate your writing. The evaluation is 20 points of your grade for this assignment. Make sure you have this completed before you come to class on Friday (10/14).